FORT WORTH, Texas -- A 51-year-old Texas man lost both of his legs - below the knee - and nine fingers after complications from the flu. On January 3, Brian Herndon developed a low-grade fever. But when it didn't go down the next day, his wife Jaye took him to a hospital near Fort Worth, the Star-Telegram reports. Herndon was quickly diagnosed with pneumonia, and the following day, his doctors gave him even more bad news - his pneumonia had mixed with the flu, which led to septic shock and eventually, kidney failure. Days later, doctors could not detect a pulse in his feet. Within two weeks, a surgery was scheduled to amputate. And as if things weren't bad enough, Herndon also developed a disseminated intravascular coagulopathy, a condition that causes micro-clots and affects blood flow. After several surgeries and weeks of recovery, Jaye said the father of two is doing well and is even taking visits from his children, which she said helps lift his spirit. 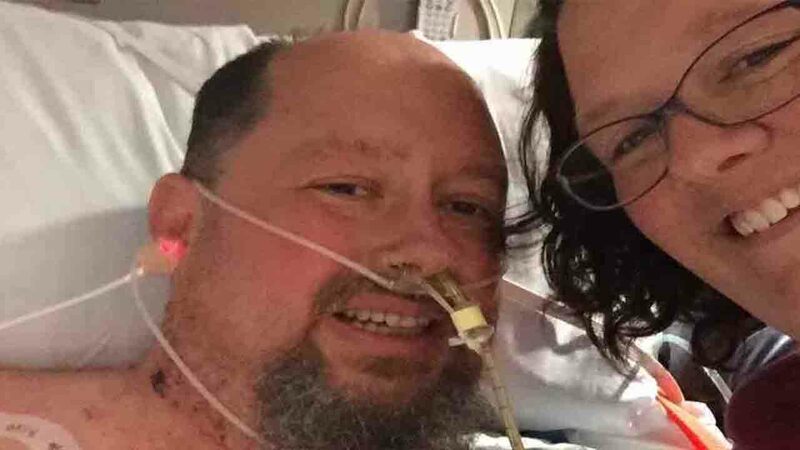 The family has created a GoFundMe account for the man to help pay for his surgeries, hospital stays, and prostheses below his knees. "Our journey ahead is still long and I've no doubt we will face setbacks, but we are thankful God has brought us here and we have a future to look forward to," Jaye posted on the page.